Silhouette of Sirens and Transient Lullaby Out Today! 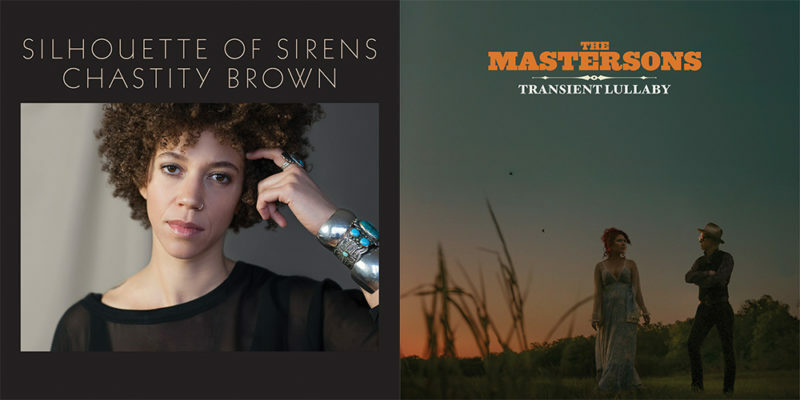 It's a double release day today with label debuts from Chastity Brown and The Mastersons! Chastity's Silhouette of Sirens establishes her as one of the most important emerging artists in music today. The album melds pop, folk, soul and gospel with driving beats and songs of heartache and heartbreak. Featuring hit single "Wake Up," NPR Music calls it "a work of brooding soul eloquence, alt-rock wiriness, atmospheric pop sweetening and folk-inflected naturalness." The Mastersons' Transient Lullaby highlights the acclaimed Americana husband-and-wife duo's songcraft, impeccable harmonies and musicality. The songs on Transient Lullaby draw their inspiration from The Mastersons' life on the road, the endless blur of skylines, hotel rooms and the characters they meet along the way.